Diamond Driver Training are able to provide periodic driver cpc training in our purpose built classroom at our main office covering the Nottingham, Derby, Chesterfield and Mansfield areas, or from our training centre in Newark-on-Trent covering Lincoln, Grantham and surrounding areas. Diamond Driver Training can also conduct Periodic CPC training at employees locations subject to suitable facilities. This training is ideal for any drivers who currently hold C1, C or CE entitlement who either require the full 35 hours or odd days to make up their hours. Any current driver with C1 as “acquired rights” who is either considering looking for C1 7.5ton work to utilize their “grandfather entitlement” or are beginning the process of training for LGV Cat C (old class 2) will require 35 hours of Periodic CPC in order to drive commercially. N.B. 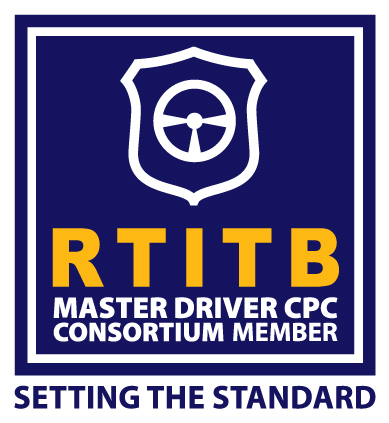 recent changes to Driver CPC means that a driver with “acquired rights” (category C1 or C) gained prior to 10th September 2009, can now do either the 35 hours of CPC training, or can now take the Initial Driver CPC Qualification route instead (modules 2 & 4) in order to gain their first Driver Qualification Card (DQC) after this they will require the periodic training, 35 hours over 5 years, in order to renew their DQC card at the end of the 5 year period. This change now makes it easier for those with acquired rights to get their first DQC where time to complete 35 hours of periodic training may be limited or difficult. Your Driving Licence (the photocard expiry date must be valid) The DVSA will only accept original documents. No other forms of ID will be accepted. Failure to bring the appropriate identification with you on ALL training days will make you ineligible for the course and therefore you will not be able to accrue periodic training hours.